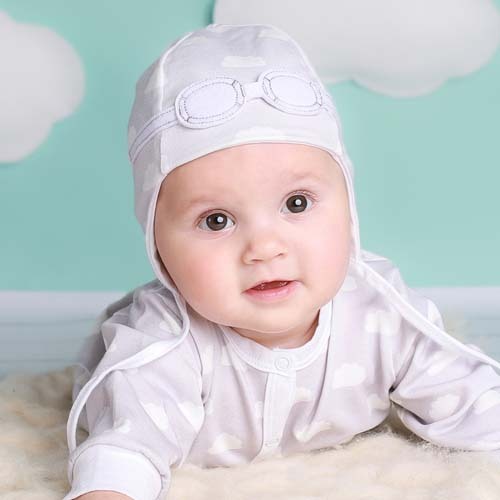 Cute baby hat in pastel pearl grey & white cloud cotton print with beautiful white flying goggles attached on top. Available in 0-6 month size. Comes packaged in a white gift box with a branded tag attached. 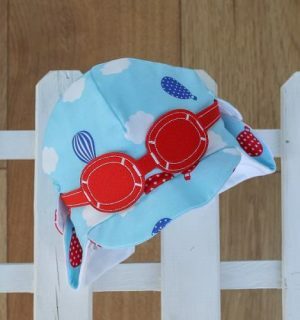 This adorable unisex newborn hat is designed for newborn babies, boys and girls, who want dream about the flying adventures. It is ideal if you’re looking for a unisex baby hats, baby girl hats, baby boy hats, unisex newborn gifts & unisex baby shower gifts. 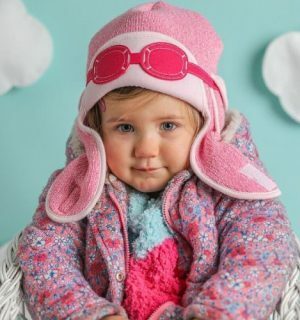 This adorable unisex newborn hat is designed for newborn babies, boys and girls, who want dream about the flying adventures. It is ideal if you’re looking for a unisex baby hats, baby girl hats, baby boy hats, unisex newborn gifts & unisex baby shower gifts. 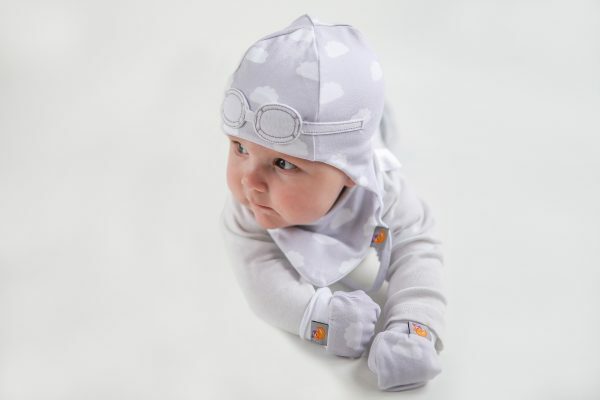 Cute Newborn Hat in pastel pearl grey & white cloud cotton print with beautiful white flying goggles attached on top. Available in 0-6 month size. Comes packaged in a white gift box with a branded tag attached. 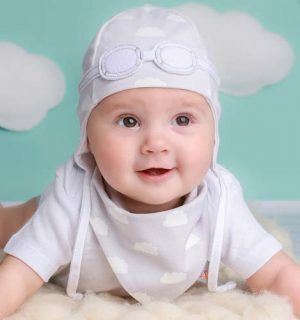 This adorable unisex newborn hat is designed for newborn babies, boys and girls, who want dream about the flying adventures. It is ideal if you’re looking for a unisex baby hats, baby girl hats, baby boy hats, unisex newborn gifts & unisex baby shower gifts.